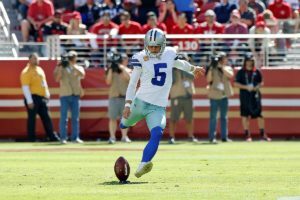 How shocking was it that Dan Bailey was released? When Brett Maher made the 57 yard field goal the other night, I was happy for him to put that on tape for another team to give him a serious look. 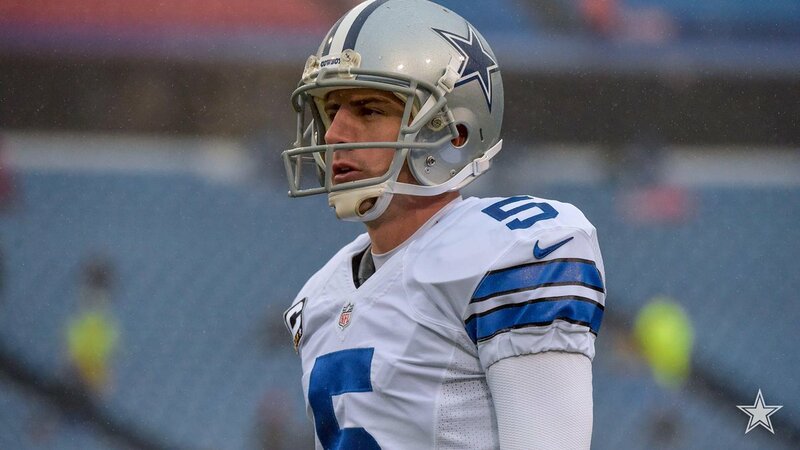 Didn’t expect it to be part of a process that culminated in the end of the Dan Bailey era. My first reaction was it had to be a salary dump to bring Earl Thomas here or to have the coin to pay Lawrence, Byron or Dak next off season, if they have seasons worthy of new contracts. Really, how do you cut a man that until last seasons, after injury misses, did he drop from the All Time NFL leader in FG conversions to the #2 slot? How many of us looked at Dan as, Mr. Automatic? How many would get up and go to the kitchen for a drink or snack when Bailey came onto the field? He was “money” in game wining situations throughout his career, as long as his HC doesn’t call a time out to ice his own kicker. This certainly caught us by surprise. Was there ever a competition at this position during the preseason? Dan converted his only attempt, leaving us to think his selection was a mere formality, they were simply saving his leg. Well, now the pressure falls, in part on Maher, in that he’s got a tough act to follow. The poor guy probably needs to convert his first dozen attempts, at least six game winning attempts and can only miss in non essential situations. Ok, nice fantasy, but not a touch of reality. As soon as Maher misses a field goal attempt, let alone a big one, the dogs will be barking. Where we normally ran to the kitchen for that drink, now we’ll be watching and holding our breath. I Can Only Imagine (great movie by the way), the words we’ll all be saying on a crucial miss. None will be kind and none likely directed at Brett. But I can assure you that they will be directed at Jason Garrett, Jerry & Stephan for their part in this move and probably in that order. I doubt this move is made without Jason having a significant hand in this. If I were in his shoes, I’d insist on a 2 yr extension on my contract for this maneuver! Ultimately, I think this has to come down on Jason Garrett. If you’ve read some of my other takes on him, well, I’ve pointed out how he blew the two games versus the Packers with his mishandling of the last two minutes of a half in one of them and then the playoff game in 2016. Horrific coaching down the stretch and the season was gone. If you look back at his tenure his inability to handle timeouts, manpower and play calling down the stretch in games has cost this team the win, countless times. How many games were snatched from our control by his poor management? That’s why if someone asks me one more time about our teams record, I’ve got to estimate how many games will he blow? I may have reminded you of the Cardinal game when Bailey was attempting a field goal and Jason calls a time out just prior to the snap. The announcer said the kick is up, its long enough, its good! But wait Jason called the timeout. We can’t relax watching a game, because he can blow it and we all know it. I’ve been happy with the consistency that he’s brought to the organization and hoped it would elevate the teams productivity and lead to a SB at some point. I never worried in a tight game that Bailey would make the kick when we needed it. Now I’ll be sitting on the edge of my seat. Partly because of the new pressure on Maher, who’s career record shows a 78% conversion rate, albeit in the CFL. Dan’s record stands at 88%, yet to be fair the last two years with injuries his numbers slipped to career lows. When healthy, only one other kicker in all the years of the NFL can claim a better record. Now we have to worry about Maher, slipping on the banana peel at the wrong moments in a game and Jason Garrett. 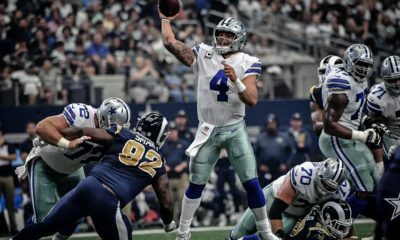 At least we can hope that Maher is an improving player, but after all these years we’ve not seen any noteworthy improvement from Garrett in handling crucial game situations. I’ve not really gotten over the decision Garrett made in 2016 when he decided to bench Romo after coming off of IR. To be fair it was a tough call, given how well the team performed behind Dak. But in my gut, I didn’t see the rookie getting past the championship game as I felt that Dom Capers would get him in that playoff game and he certainly did. Got him off to a slow start in that game and then again when his defense read the play beforehand on that INT. They blew it on 2nd & 1 giving the rookie the run pass option with Zeke standing in the backfield. 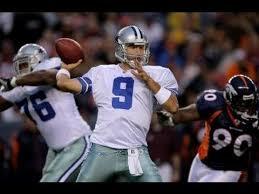 To reach the SB, Romo would have had to have been the field general in my opinion. My faith in Garrett in his role as HC, is not at the highest level. We start the season in a few days against Carolina, with oh so many questions to begin with. Do the WR’s step up? Can Joe Looney handle the calls and snaps in place of Travis? Can the running game work thru the A gaps versus Poe & Short? Can we block Kuechly? Then on defense, can this pass rush we’re counting on, will they actually deliver? The linebackers looked really good, how will they do in live action? Then how do the safeties hold up in this game? The first game of the year and most of our games will be close coming from the kickoff to final whistle. 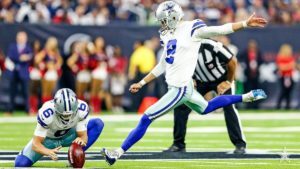 I’m not comfortable that Garrett can handle in game situations and now, our new kicker will face incredible pressure to hit the game winner. All eyes will be on him, his teammates, coaches, the GM and us, the fans. Hopefully he comes out strong and keeps going. If things don’t come together miraculously this year, will it be the end of the Garrett regime? I have to think at some point that Jerry won’t accept mediocre results. He may love him some Jason Garrett, but how many, in game blunders, can even he handle? Jerry’s not only a great business man but also has an astute football mind. You may not hear the “X’s” and “O’s” from him, but he knows them. Just don’t know that he accepts the status quo much longer. I thought and still think he may be given one more year after this year, no matter what, to pull all the pieces together. But he’s catapulted some big names from this roster, so with that comes responsibility. 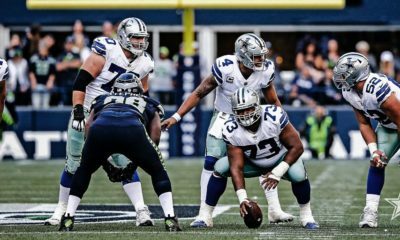 When you think that in one off season, he’s launched Bailey & Dez, with Witten riding off to ESPN, can he make this a playoff caliber team? Don’t think Jerry didn’t notice the job a first time coach in his 2nd season winning a Super Bowl, with a backup QB who has looked awful outside of their championship run. 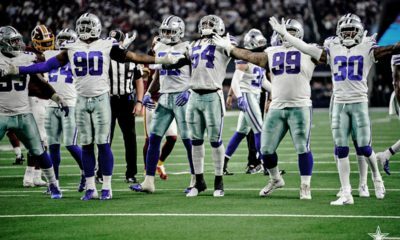 They were a viable threat because of their defense and will remain one this year for the same reason, despite Foles Follies to start this season. 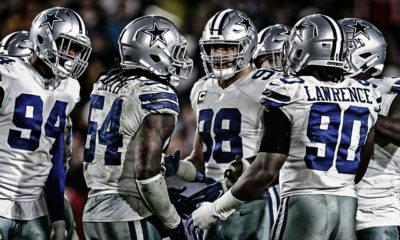 We’re finally looking like we may have a quality defense this year but will it be enough to save Garrett? This is the youngest roster in the NFL, from what I’ve heard. They will make mistakes while they gain the experience, but I’d sure like to have had Mr. Automatic kicking my field goals! Thanks for the greatness you brought to this team Dan! You gave us the best kicker in team history and until a few injuries, the best in NFL History!